1. 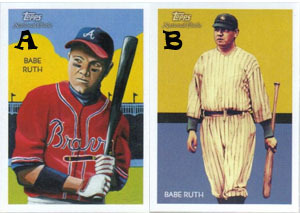 Which Babe Ruth is the short print? 2. 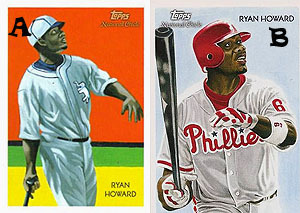 Which Ryan Howard is the short print? 3. 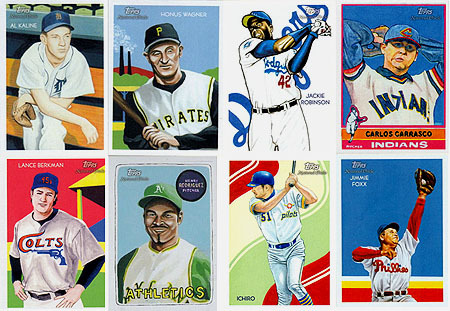 What card is the first short print in the chicle set? 4. 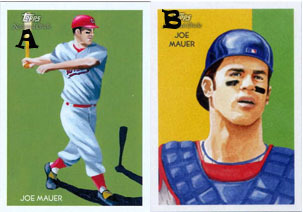 Which Joe Mauer is the short print? 5. Which card is the Short Print? 6. 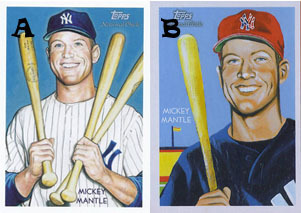 Which Mickey Mantle is the short print? 7. Which card is NOT a short print? 8. 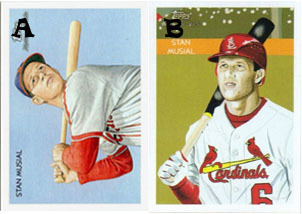 Which Stan Musial is the short print? 9. How many of the cards below are short prints? 10. In 2010 National Chicle the short prints are divided into three different categories, which of these is NOT one of them? 2010 Topps National Chicle Relics Game Used Jsy Albert Pujols BGS 9 SP 199 Hof? Love 2010 Chicle! Trying to collect as many Artist proofs as I can… Great looking set. Are they planning on a Series 2?? ?